Get Cash for Trucks Adelaide with Car Wreckers, We pay on the Spot! At Car Wreckers Adelaide, we maximise the value of trucks of any condition. With us, you won’t have any concerns when selling trucks of any condition as we buy trucks of any condition. We are truck buyers in Adelaide that have a high demand for used trucks, just as we are expert wreckers and scrappers in Adelaide with the knowledge to wreck all makes & conditions of trucks. When we are your call, you will get top dollars for selling your truck to us. Get Free Truck Removals Adelaide!!! You may be in a remote area of Adelaide, or you may be right down the street. Regardless, we will provide you with a free truck removal. We are Adelaide’s premier wrecker that pays top cash for trucks of any make and condition of the truck and removes the trucks for free. When we are your buyer, you get the courtesy of a complimentary removal at a time that is convenient for you. Adelaide Truck Sellers!!! 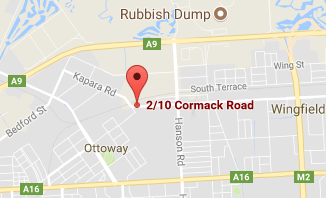 Get Free Truck Wreckers Adelaide!!! Car Wreckers Adelaide offers instant cash payments up to $9,999, free truck removals in Adelaide SA, and tops it off with free wrecking & scrapping services. We are premier wreckers in Adelaide that pay top cash for trucks as our wreckers get top cash for getting the most value from trucks. 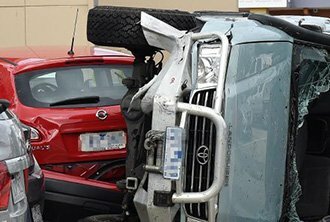 One call to you will let you know why ‘Car Wreckers Adelaide’ is the preferred choice for a removal company. The reasons are endless, but the top reasons are instant cash as much as $9,999 for selling trucks, and quick and convenient services that are complimentary services when selling trucks to us. We are Adelaide’s top choice among truck owners in a buyer & wrecker because we offer sheer conveniences when selling trucks. Our appraisers don’t make you come to us to have your truck inspected and appraised. We make upfront quotes for trucks over the phone or online, and then schedule an inspection and removal, guaranteeing not to lower our price provided we receive an accurate description of the truck. Cash for Trucks Adelaide doesn’t make you wait for a cash payment for your truck for sale. We make instant cash payments on the spot. We don’t make you wait days for our technician to finally arrive with the cash. Cash for Trucks brings the cash for you to buy & remove your truck the same day as you accept our cash quote. Don’t make our customers pay for wrecking & scrapping services. We wreck and scrap trucks for free. Provide all the necessary paperwork, so you are only required to provide proof of ownership of the truck. When we buy trucks, there are no concerns. To obtain “Cash for Trucks Adelaide quote” contact SA Car Wreckers over the phone or online. Call the number below or complete our online form at the top right of this page. We ask that you provide our appraisers with a complete description of the truck, including all its plusses and minuses.